MP aka MIHAI POPESCU All The Good Things vinyl at Juno Records. 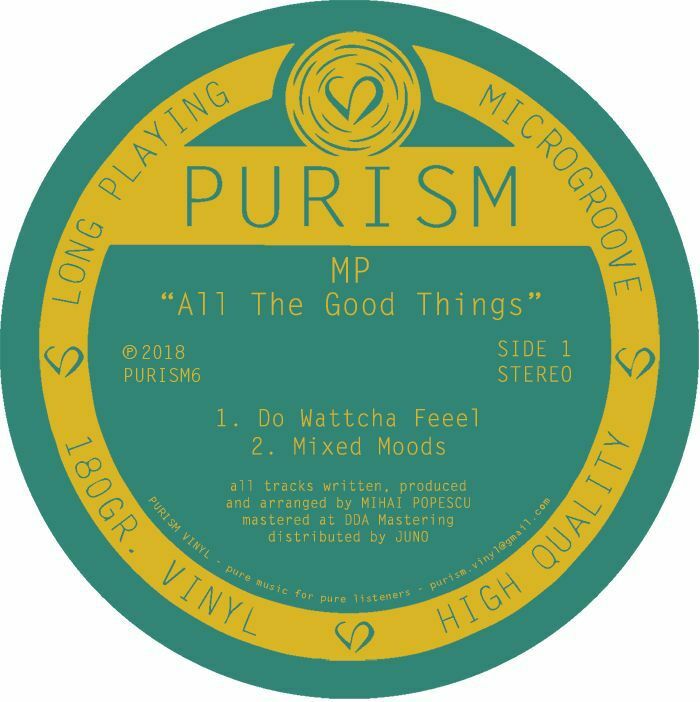 PURISM welcomes Romanian minimal house titan Mihai Popescu to the table, following the promising producer's run of hotly tipped singles on his own Soulsity label. The groove is crisp and infectious on opening cut "Do Watcha Feeel," which makes great use of a looped up melodic phrase and choice vocal snippets for a quintessential house throwdown. "Mixed Moods" is no less floor-ready, but its delicate, shimmering keys add a seductive quality that's impossible to resist. "Midnight Insp" takes a heads-down, tracky approach on its run in, but by the latter half opens up to reveal a gorgeous, swirling bath of chords. "Aritmethixx" provides contrast for the EP's closer, keeping the beat stripped back and using haunting flecks of sonic decoration that wouldn't sound out of place on a Horror Inc track.